Endurantists claim that for a concrete particular to persist through time is for it to exist wholly and completely at different times. The account assumes a presentist account of time where what exists is real if and only if it exists at the present time. An entity overtime persists as numerically identical thing at one time as any other time. According to endurantists, concrete particulars do not have temporal parts. The only things that count as parts are those within space. Perdurantists claim that it is not possible for numerically identical concrete particulars to exist at different times. Rather Perdurantists claim that a concrete particular is an aggregate of different parts each existing at its own time. Perdurantists assume an eternalist conception of time (and endorse a B-theory of time whereby there are no “tensed facts”) - time is a real dimension much like the three spatial dimensions and or entities are equally real at all times. An entity persists through time as temporal parts (or “time-slices”) of a concrete particular. Concrete particulars, on this view, are often depicted as “space-time worms” with all that exists at all times being equally real. A perdurantist will also be committed to what van Inwagen calls universalism. Universalism is the view that “for any set, S, of disjoint objects, there is an object that the members of S compose.” For example, on this view there is an object composed of my shoe and Donald Trump’s hair. Perdurantism might strike us as odd but it shouldn’t. Surely we can cut the universe into as many parts as it has and correlatively conjoin those parts. Crucially, all those ways of cutting up the universe (both cutting up ordinary objects into their component parts and joining ordinary objects with other objects to form other objects) are equally legitimate. There is, in principle, no privileged way to carve up the universe. What we do instead is to recognize objects (the ordinary objects like chairs and tables) because they exhibit spacio-temporal proximity and become familiar over time. Closely related is the following rule: If x is identical with y, then all the parts of x are parts of y. Thus, perdurantists will argue, if there is a change in parts, then the two objects are not identical. So, here is the story. Descartes has an accident in which he loses his left hand. The accident takes place at t. So we have the following objects: “Descartes-before-t” – complete Descartes with all his parts, “Descartes-minus” – all of Descartes minus his left hand, and “Descartes-after-t” – Descartes after the accident. Of course if we have “Descartes-minus” we have “Descartes-minus-before-t” – all of Descartes minus his left hand before t and “Descartes-minus-after-t” – Descartes-minus after the accident. So, (4) and (5) are contradictory and endurantism is false. Mereological Essentialism – Deny Assumption (A). An object is numerically identical iff it has all its parts. The loss of one atom from the chair you are sitting on means the chair at t and the chair at t2 are not numerically identical. This claim involves the correlative claim that language of common speech is vague. What we mean by “the same table” in common speech is not what we would mean in philosophical speech. Philosophers use a particular precised speech (Chisholm). When we speak of tables in the precised speech we mean a succession of chairs, but in vague and common speech we can speak of the “same” table. Roderick Chisholm claimed that this won’t work for persons. Since persons have a unity of consciousness, we must either assume that “I” refers to an immaterial soul or that at least one part of the human body is essential to the persistence of the person (it could be one cell to which “I” refers). It is not true that Descartes-minus-after-t is the same human beings as Descartes-before-t. Descartes-minus-before-t is not a human being at all, but only a fragment of a human being. Before the amputation, there is just one human beings, and he has a left hand. 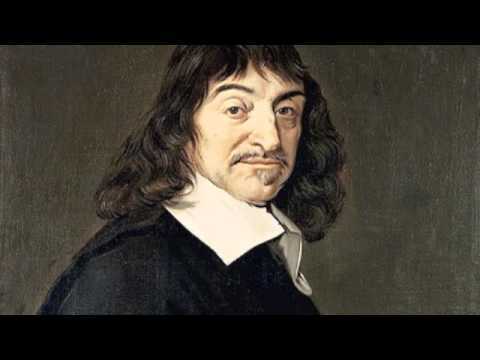 Bet neither is it true that Descartes-after-t is the same collection of cells as Descartes-before-t. If it is appropriate to call these things collections of cells, then we have no option but to call the deficient collections of cells. Constitutionalist Account – Constitutionalists deny (3). There are two objects that coincide in the same region of space. This view considers the lump of matter and the human being to be two objects that occupy the same space (Corcoran). If one can avoid (3), then there is no need to hold to (4) and the contradiction is avoided. Van Inwagen's view – There is no such thing as Descartes-minus. This is an arbitrary object and there are no such things as a table-minus one leg (strictly, according to van Inwagen, there is no such thing as a table). There is such a thing as Descartes but not Descartes without his left hand. Once his left hand is gone, there is no such thing as his left hand. Before he loses his left hand there is no such thing as Descartes without his left hand. What follows is the denial of (2) that presupposes that before Descartes’ accident there was such a thing as Descartes without his left hand. Michael Rea, “In Defense of Mereological Universalism” in Philosophy and Phenomenological Research (June 1998): Vol. 58, No. 2., 347.